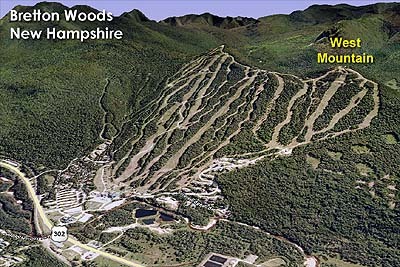 Located west of the original Bretton Woods development, Mt. Oscar is a 2,748' peak. 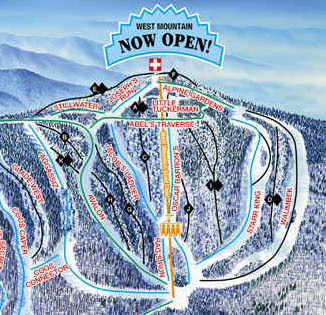 To combat its "Medicare Mountain" image of gradual terrain, Bretton Woods expanded to the slightly steeper slopes of Mt. Oscar for the 1999-00 season, calling it West Mountain. 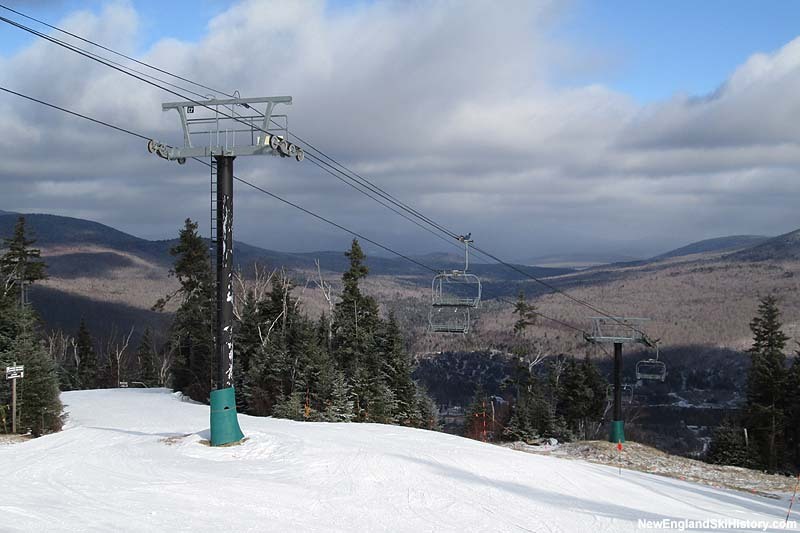 Initially served by a 1999 Garaventa CTEC fixed grip quad chairlift (3,752 feet long over 830 vertical feet), the slow line speed as compared to the adjacent high speed detachable chairlifts wasn't warmly received. 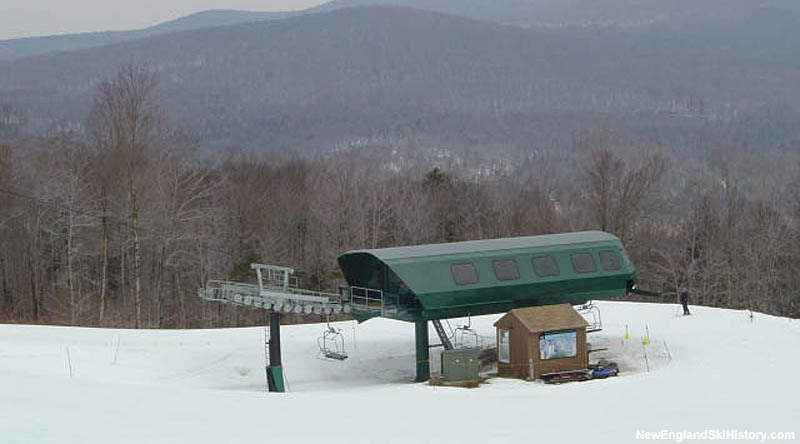 Thus, a 2002 Doppelmayr/CTEC high speed detachable quad (3,802 feet long over 826 vertical feet) was later installed, running nearly 250% faster. 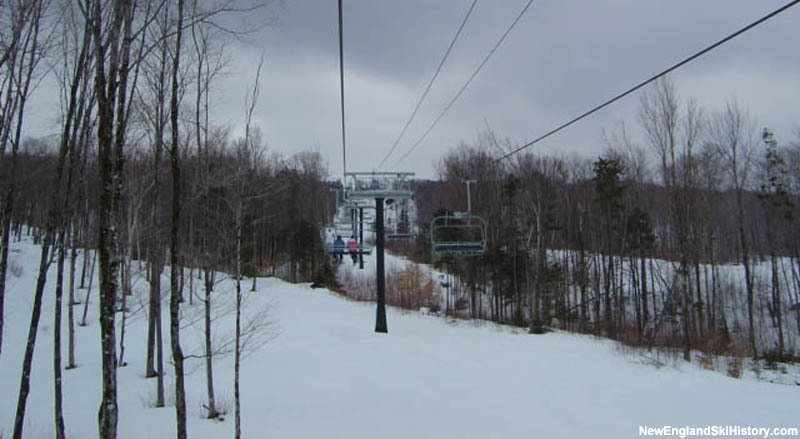 In addition, the Zephyr Express Quad was added in 2000, as to help ease access to the new peak. 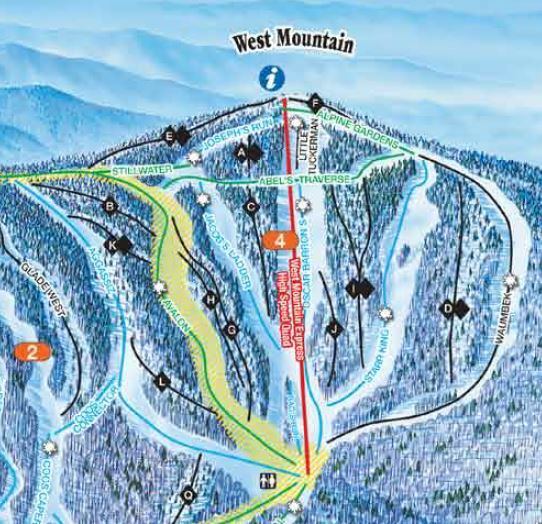 In addition to expert glades, novice and intermediate routes were cut to provide all abilities a way down from the top of the lift.